Having noticed the rise in people sleeping rough in the surrounding area who are in need of support, St Anne’s Cathedral have decided to donate any money they receive on Tuesday 24th July to the Samaritans. For many of the people sleeping on the streets of Belfast the need for mental health support is a crucial as ever. However with the current lack of government and funding for mental health this has become a bigger problem. The 24th July marks the Samaritans UK-wide Big Listen event. The Cathedral normally has a £5pp admission fee which they will be happy to donate to the charity for the day and encourages anyone who just wants to pop in and donate any amount big or small, all money received will be donated to the Samaritans at the end of the day. 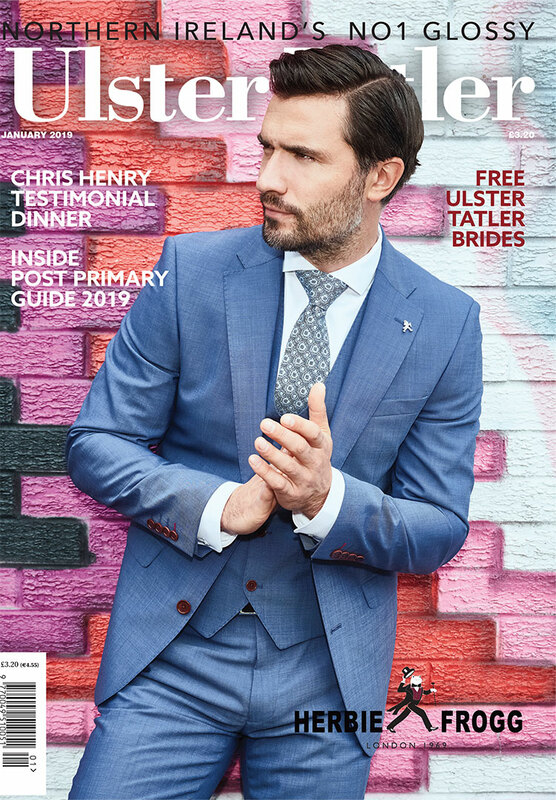 St. Anne’s Cathedral is encouraging as many people and local businesses as possible to get involved and spread the word for this very important cause. Even just by popping in to make a donation, bringing buns, not bringing buns but eating buns or pointing people in their direction it will help make a difference. 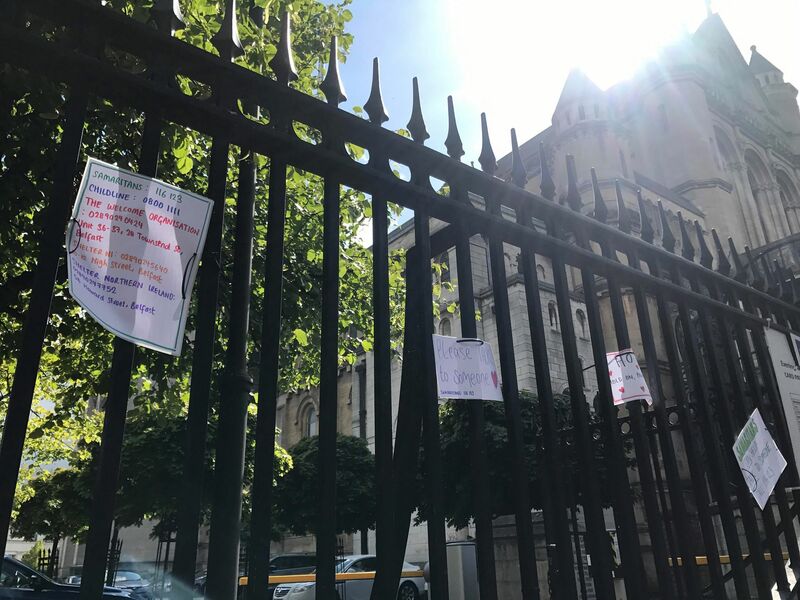 Staff and volunteers have started attaching ‘Messages of Hope’ along the railings of the Cathedral, similar to those that run along the Foyle Bridge and are asking people to drop in their messages or attach them to the railings as a show of support. 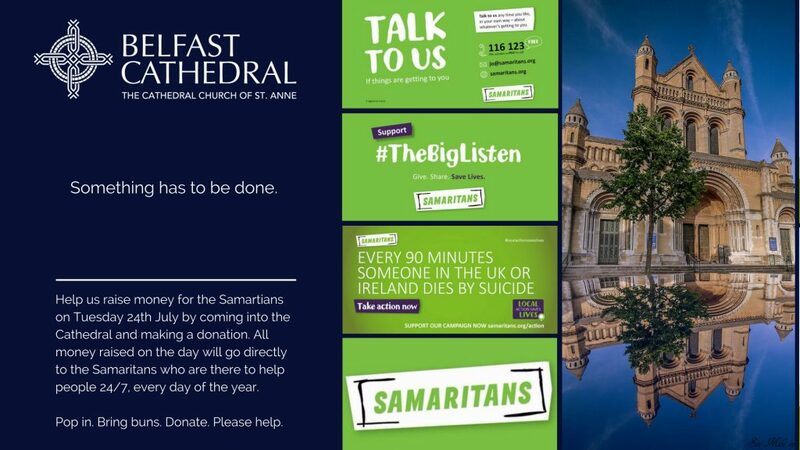 Some of the Samaritan volunteer Belfast team will be in the Cathedral on Tuesday 24th July if anyone needs to talk to someone. Every little will help!